The origination and expansion of Woburn's municipal water supply system reflects of the history of residential, commercial, and industrial development of the city, community pride in being self-sufficient, and decisions made by local and state officials. This webpage provides general information on the growth of Woburn from a rural community in the 1800s dependent on the Middlesex Canal for commerce into a modern city in the 1900s and the changes made to the municipal water supply system to accommodate this growth. Additional information on the industrial history of Woburn can be found under Industrial History of Woburn. Woburn was settled in 1640 by pilgrims from the Massachusetts Bay Company who developed additional settlements near Salem and Boston. For the next several decades, no more pilgrims came to Massachusetts and the population grew solely by natural reproduction. 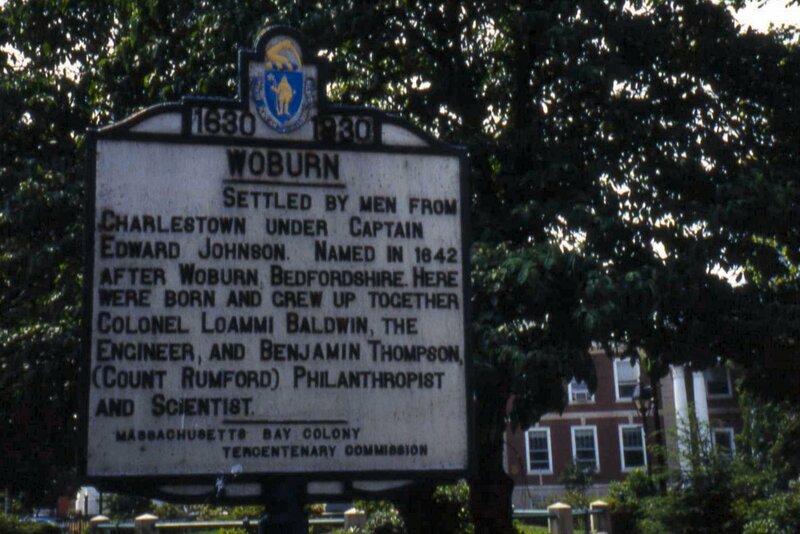 By 1790, Woburn had a population of 1,727. Following construction of the Middlesex Canal in 1803, Woburn's economy shifted from one dominated by agriculture to one dominated by industry. In the early 1800s Woburn's economic growth centered around its tanneries and shoe manufacturers. In 1850 Woburn had 26 shoe and boot manufacturers and competed with Lynn, Massachusetts and Philadelphia as the nation's leading manufacturer of footwear (Tarr, 1987). Following the massive immigration to New England in the 1830s through 1850s due to the potato famine in Ireland, Woburn's population grew to 6,287 in 1860 and by 1889 the population was 13,449. A major reason for the rapid growth of Woburn after 1860 was the industrialization of the area during and after the Civil War, which provided steady employment. According to Tarr, until the years following the Civil War, residents of Woburn, like those in many small towns in Massachusetts, relied on household wells and local springs for water supply. 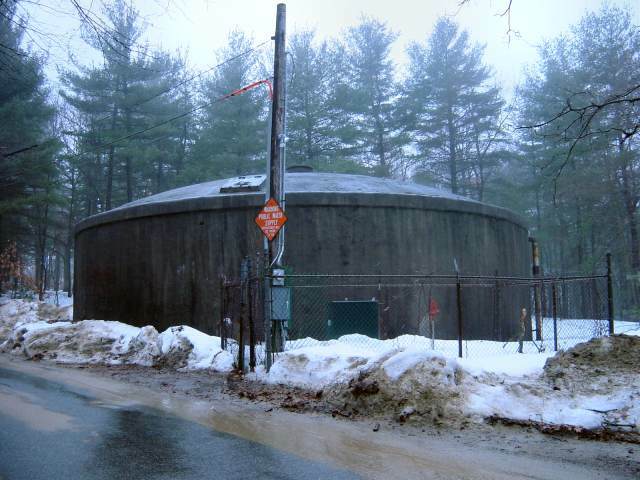 The collection and distribution of water to residences and industries in Woburn has a history of inadequate supply and poor quality that goes back to the first attempts to construct a centralized water-supply system in the early 1870s. This system consisted of water derived from Horn Pond that was pumped out of an excavated 'filter gallery' on the south side of the pond (Tarr, 1987). In 1895 the Massachusetts State Board of Health (MSBH) reported that Horn Pond was polluted with tannery and other manufacturing wastes, which increased the chloride concentration of the water. The water from the filter gallery, however, was sufficiently pure to use. In 1903, the water in the filter gallery showed increases in dissolved iron and ammonia and the MSBH suggested that the city locate an additional source of water away from the present filter gallery. The state also suggested that a reliable source of water could be obtained from the Quabbin Reservoir operated by the Metropolitan Water District. 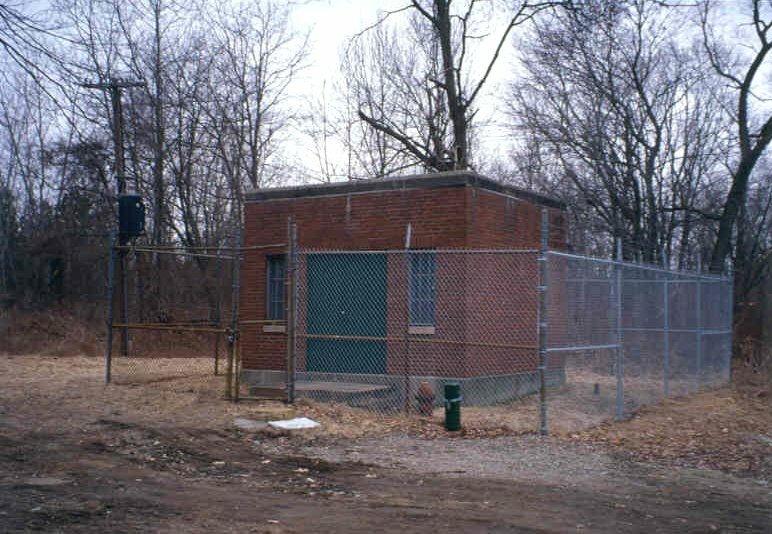 In 1908, Woburn constructed a new well to the south of the pumping station at the filter gallery (Tarr, 1987). The drought in the summer of 1923 forced the city to draw unsanitary water directly from Horn Pond and the MSBH warned citizens to boil the water before use. Later that year the city had installed a chlorinator at the pumping station to help with excessive bacteria but this resulted in taste problems (Tarr, 1987). 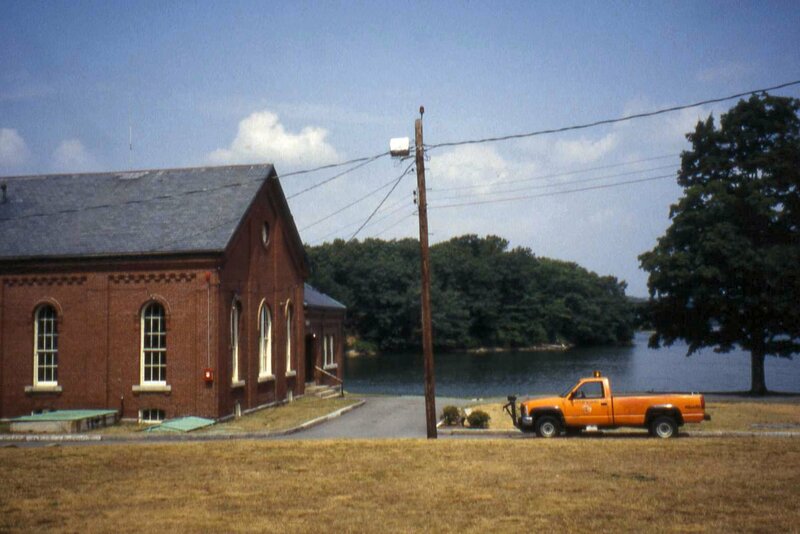 In 1926-27, Woburn constructed well "A" near Horn Pond and the pumping station. By the late 1920s, the demand for water had again exceeded supply and the city constructed wells "B", "C", and "D" around the south and west sides of Horn Pond. To deal with further water supply problems, wells "A2" and "E" were constructed in 1937. Over the next 20 years problems with the taste, odor, and supply of water from the city wells continued to arise. In 1955 the city contracted Whitman & Howard, Inc. to study the water system and make recommendations for improvements. The Whitman & Howard report submitted in 1958 contained several observations and many recommendations. Of particular poignancy are the statements that the wells at several tanneries, including the John J. Riley Co., and other industries along the Aberjona River were too polluted to be used for public water supplies (Tarr, 1987). One of the recommendations in the report was to explore further the area near Mishawum Pond in the Aberjona River valley. The Whitman & Howard report resulted in the construction of well "F" at the western end of Horn Pond and the drilling of several test wells near the Rod & Gun Club on the east floodplain of the Aberjona River north of Salem Street, not far from Mishawum Pond. In 1964 and 1967, respectively, wells "G" and "H" were built at test sites 8 and 16. 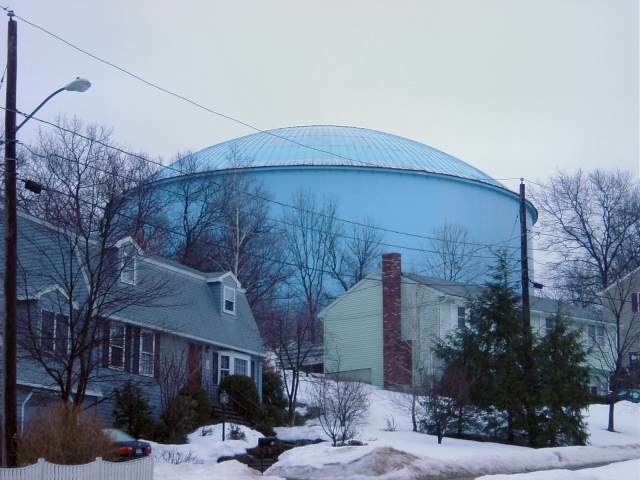 As described in "A Civil Action," wells G and H produced water of inferior quality and the residents of east Woburn complained repeatedly to city officials about the foul taste, color (red), and odor. As a result of citizen comments, by the middle of the 1970s wells G and H were used only during periods of drought when wells A - F could not supply all the city's water needs. In May 1979, wells G and H were closed when samples showed concentrations of TCE and PCE exceeding U.S. EPA and Massachusetts Department of Health standards. More details on the subsurface geology, construction details, and usage of wells G and H is found under Construction and Use of Wells G & H.
Between 1964 and 1979 when wells G and H were periodically used, the Woburn water distribution system took water pumped from the eight municipal wells (A - F, G and H) and delivered it through a continuous pipeline network to residential and commercial customers. This produced "blended" waters whose chemical characteristics varied throughout the pipeline system depending on the initial chemical characteristics of the individual well waters, the location of the customer within the pipeline network, and operation of the system, which was controlled through pumping rates and schedules, storage tanks, and reservoirs. The storage facilities include the Zion Hill, Whispering Hill, and Rag Rock storage tanks, and the Horn Pond reservoir, which emptied and filled based on customer demands (Murphy 1990 ). 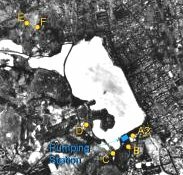 In 1990, Dr. Peter Murphy, a professor of civil engineering at the University of Massachusetts, reported the results of a computer model he constructed of the Woburn water distribution system (Murphy 1990 ). Based on the diameter of pipes and the locations of water main junctions, he divided the city into 52 water districts for the period 1964-1969 and 54 water districts for the period 1970-1979. The residences in each water district received the same blend of water from wells A - H. The purpose of Murphy's computer model was to calculate the monthly fraction of water from wells G and H that each water district received. This enabled Murphy to determine the month-by-month exposure index (expressed as a fraction) of residences in each water district to water from wells G and H. Some of the figures from Murphy's report can be seen here in the Resources Collections Module. The monthly exposure indices are listed in the appendices of (Murphy 1990 ). 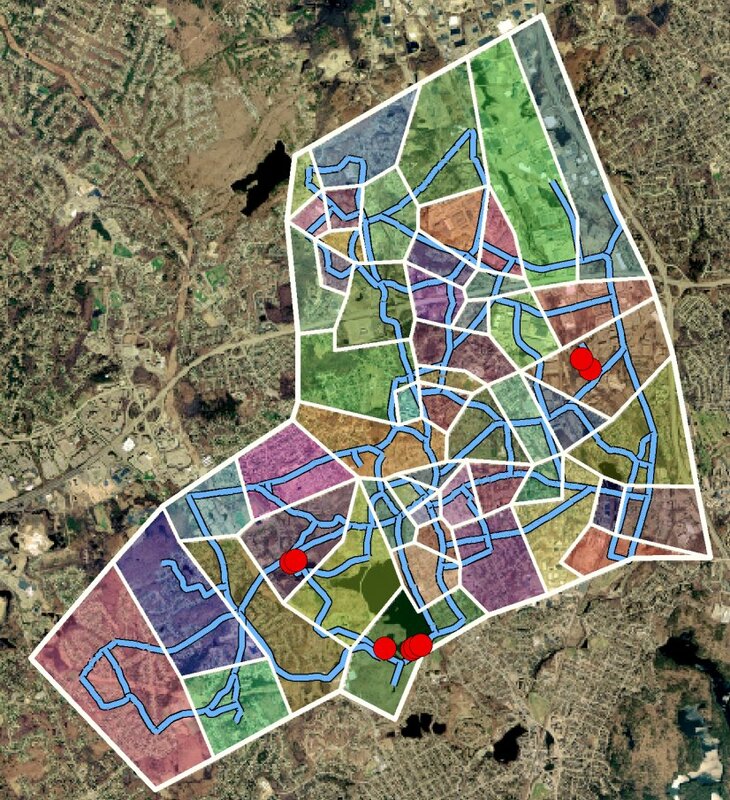 Maura Metheny, a Ph.D. student at Ohio State University, combined the exposure data with the results of her TCE and PCE transport models to compute possible concentrations of TCE + PCE that residences in each water district in Woburn could have been exposed to when wells G and H were operating. These data are in tabular form in (Metheny 2004 ) and were animated by Paul Spahr, an M.S. student at Ohio State University, which can be viewed here in the Resources Collections Module. 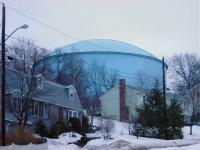 Today, Woburn supplies about 9 million gallons of water per day to its users. Two-thirds of this amount comes from municipal wells A - F located near Horn Pond and the other one third comes from the Quabbin Reservoir in central Massachusetts through an agreement with the Massachusetts Water Resource Authority. 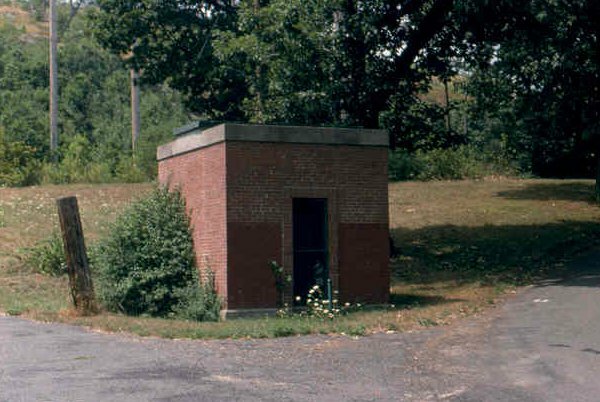 Since their closure in 1979, wells G and H have not been used except for the 30-day pumping test performed by the U.S. Geological Survey in 1985-86. The well houses were destroyed shortly after the trial and the pumps and piping removed. Only remnants of the cinder block foundations can be found today.